The above oil on canvas dates to 1651 and is the work of the 17th century Dutch artist Jan Marienhof. The biblical scene is set on Mount Carmel where the prophet Elijah kneels before an altar. 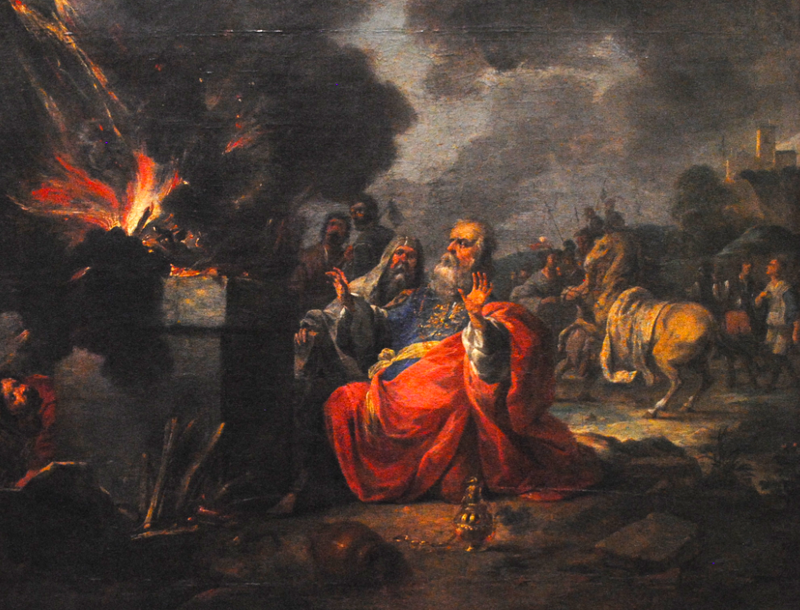 During the 16th and 17th centuries, images of the life of Elijah were popular as the prophet was regarded as the founder and patron of the Carmelite order. 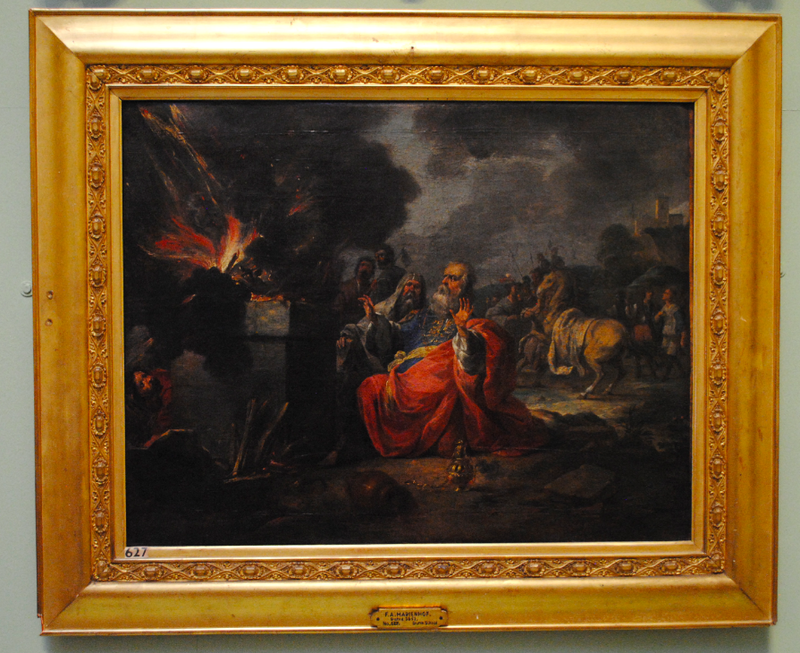 The painting depicts the terror of King Ahab as God sends a thunderbolt to ignite the sacrifice made by Elijah. As a result of the sign, the people of Israel abandoned the cult of Baal.